Do You Need Fluorescent Lighting? 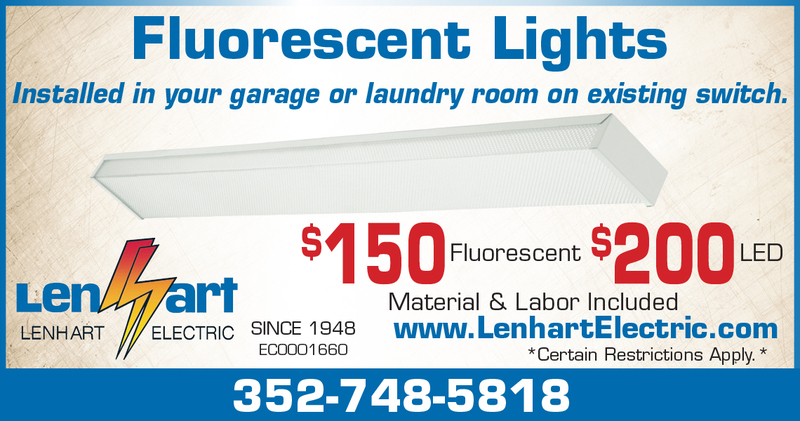 At Lenhart Electric, we understand how important is it to have fluorescent lighting in your garage or laundry room. Let us install your fluorescent lights on an existing switch to help you see your projects clearly! Our experienced and licensed electricians will install new fluorescent lighting and remove any old lights you may have. Since we offer a our flat upfront fee, we make it easy for your family to upgrade and replace old worn out light fixtures. The long term energy savings for fluorescent bulbs will add additional savings on your monthly energy bill! Please call us to set up an appointment to install your new lighting today!